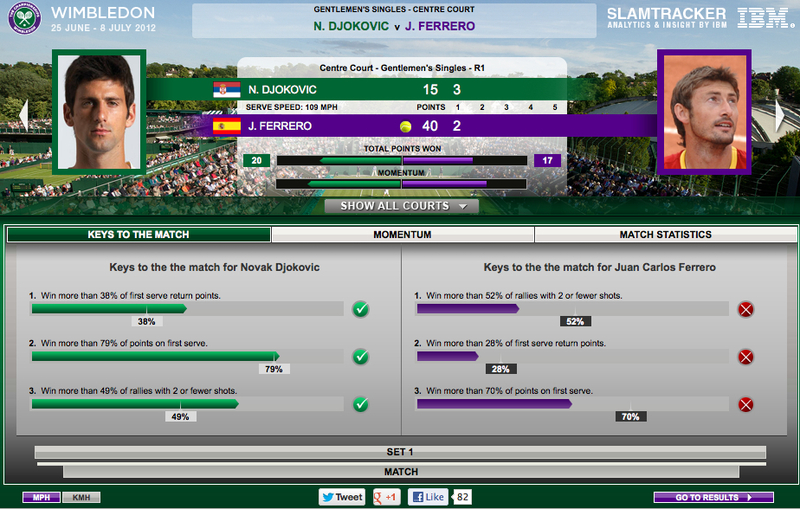 Last week I wrote about the Wimbledon Championships’ website. 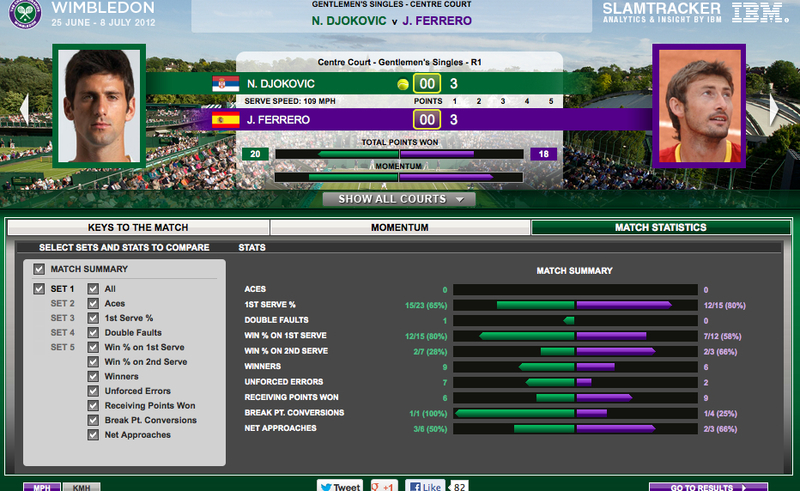 I thought I would visit the IBM SlamTracker scoreboard on Day 1. Following on from the 2011 pilot on Court 18, this year for the first time on Centre Court, IBM will trial player movement tracking. With IBM SecondSight it will be possible to track the fastest moving players and how their performance changes, set by set and match by match. The system can provide new data that could help players, coaches, commentators and fans alike; and, add a new dimension to fan’s understanding of the science of tennis.